Do You Look As Good As You Feel? They say age is just a number, but when you look in the mirror it can be difficult to reconcile that message with the reflection you see. No matter how much of your time you dedicate to diet and fitness, aging is an inescapable reality. When you grow older, the collagen fibers of your skin begin to lose their natural elasticity and the levels of hyaluronic acid in your vital tissues begin to decrease simultaneously. As these two essential elements wear away you facial features begin to lose their health and fullness. Over time, fine lines and wrinkles appear and eventually the skin begins to sag resulting in more pronounced jowls and hollowed cheeks. In most cases, these processes begin as early as the late 20’s. While botox and fillers can keep these indications at bay, in many cases affected individuals are offered expensive surgical remedies as the only way to fight back against visible signs of aging. But if you’re determined to avoid going under the knife then there are natural, long-lasting alternatives that will truly rejuvenate your appearance. PDO threading is a cosmetic procedure first pioneered in Korea as a natural treatment for lifting, tightening and smoothing skin on the face and neck. The threading techniques have their root in ancient acupuncture therapies that are geared towards stimulating the muscle and deep tissues of the body. PDO stands for polydioxanone a strong, soluble thread which dissolves naturally in the skin. While this application is generally used for suturing during major heart surgeries, here it is used to produce targeted inflammatory responses which cause new collagen and hyaluronic acid to form across affected areas. Even as the natural lattice of threads works to lift and support the skin, these responses result increase elasticity and create an overall smoother, brighter appearance. Areas of visible aging are identified throughout the face and neck. Treatment areas are marked clearly. A local anesthetic is used to numb selected areas. A hollow hypodermic needle is used to embed PDO threads inside the deep tissues of the skin. The embedded threads immediately attach to the soft, drooping tissues working to support and lift the skin without any surgical intervention. Each thread will remain within the skin for a period of 6-8 months after which it will naturally dissolve. A localized treatment generally involves 8-12 threads, while a full-face and neck treatment may need up to 30. The entire process should take no more than 15-30 minutes. After the embedding procedure is completed, the patient can expect mild soreness and swelling for a couple of days afterwards. Additional tightness should be expected for a period of 2 weeks. After the healing process has been completed there will be no scars left behind, and the patient will be unable to even feel the presence of threads. Immediate improvement and visible lifting can be seen after treatment. 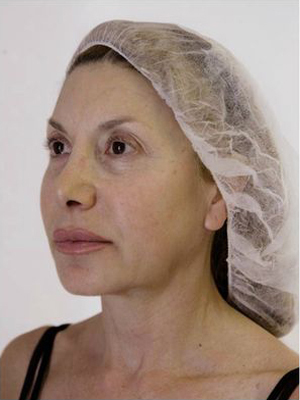 Over a period of 2-6 months new collagen will be generated as fine lines and wrinkles gradually smooth out. When combined with other applications such as botox and fillers, the results can last for several years. Lifts sagging cheeks and jowls. Restores collagen and hyaluronic acid in the skin.